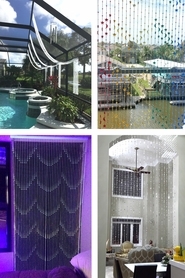 Home > Beaded Curtains & Columns > Fabric Top Curtains > Custom Fabric Top Curtains with Grommets - Add Beads, Metal or String! 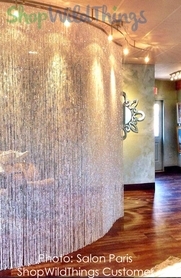 We would love to make Custom Fabric Top Curtains for you! 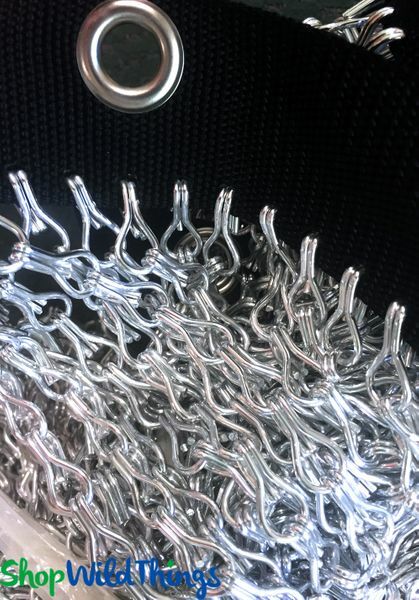 We can add Metal Grommets for Easy Hanging, or create just about anything you desire. 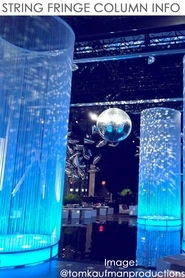 We will cheerfully create a Custom Order Quote for you. 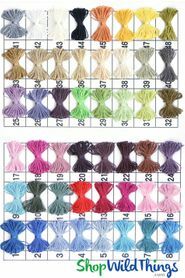 There is a minimum order of $150.00 for Custom Orders. 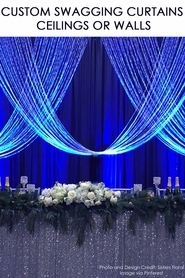 ShopWildThings is known in the Special Events industry for being able to help create many Custom Products including Fabric Top Beaded Curtains. We can add grommets for you or omit them. Pick from just about any of our Acrylic Beads,Metal Chain or Metal Lynx Beads! 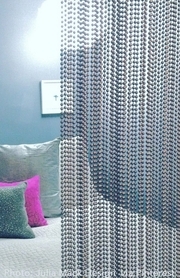 We can even just simply add Metal Grommets to the top of our String Curtains for you. Don't want a fabric top? Need a bendable or straight metal top? We do that, too! All Custom Orders are placed over the phone. 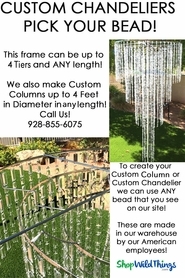 Use the Green Button that says "Custom Order Today" to send us an email about your project, or call us at 928.855.6075. 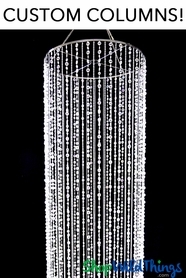 We will create a Custom Order Quote for you.